Just a few months ago, Patty Jenkins’ Wonder Woman, starring Gal Gadot, took the world by storm and help put the DCEU back on its feet. Now, Warner has officially begun a For Your Consideration Oscars campaign for the film. But could it actually win? 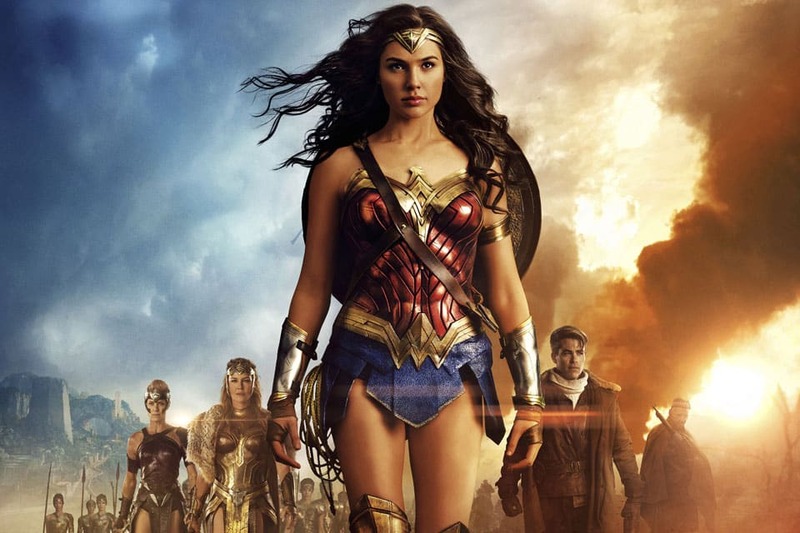 While there certainly has been a fair amount of praise for DC’s Wonder Woman film, there have been many who remain critical of the studio’s current live-action films by calling the film overhyped. Despite all the negative remarks, the film has gone on to be the first DC movie since Christopher Nolan’s The Dark Knight Rises to be “certified fresh” on Rotten Tomatoes and has become a huge milestone for female protagonists too. There’s no denying the impact it has had on the filmmaking industry. Warner recognises this and is proudly standing behind the film. They have submitted to 15 out of the 16 categories that the film is eligible to receive, including Best Cinematography, Best Actress, Best Director and Best Picture. Does Wonder Woman stand a chance? Possibly. Maybe for technical awards. But Best Picture? Best Director? Ask yourself, if this was just another male driven superhero movie, would people still be making a fuss? Possible it’ll get nominated I think. While I believe it’s a great film, it’s definitely not Oscar worthy. I hope Chris pine wins. I wouldn’t stretch it that far , nomination at best . If there is a movie from the Scifi genre that deserves an Oscar it’s Blade Runner 2049. A neo noir masterpiece. Wonder Woman was good but definitely not a contender. It’s worthy because it showed a clear picture of what a woman should be in our society. Strong but not at the expense of devaluating a man. Sigourney was all that and more in Alien/Aliens. Shouldn’t warrant an award though, in my opinion at least. Can’t comment on that regards since I’m not a terminator fan but I guess to each our own. Gal Gadot didn’t sleep with Harvey Weinstein as far as I am aware, so no, no Oscar for her. Lol… no man. That would be ridiculous. It was great, but nope. Jeez, it was good but not that good. For doing what ? There are way better films and performance roles worthy of an oscar , take the shield and sword put it away ,add some clothing on her and give her a real role to base her worth as possible ascar winner. It was great, but not oscar worthy. Hold up please. It was a good movie. If you make your hero want to and enjoy helping people, half your work is done. This was good, but had it’s flaws. After the hype I was kinda surprised it wasn’t better, but it did a good job for sure! If y’all going to look at comic book movies Logan deserves many Oscars. Best picture? Best actress? Best director? Are you f-ing kidding me? This movie was good and Gal Gadot was good but it’s quickly become maybe the most overrated movie ever. It was basically an enjoyable version of Man of Steel. It’s nowhere near as good as Logan or Thor: Ragnarok and I’m not even sure it was better than Guardians 2. So it’s not even the second best or maybe not even in top three in the superhero genre alone this year. Yes. It was good but I don’t get the unbelievable hype this movie has surrounding it. It’s a comic book action flick, it’s good for that genre. I personally think chris pine stole the movie . Very overhyped movie , first half was fantastic though. Want any marvel of dc film to be recognised especially Star Wars! Considering that the awards are given to the people that spend the most money getting everyone to vote for it, I’d say they have a chance. It’s a good film but if it wins an Oscar outside of technical realms it just confirms that identity politics is everything to these people. Why? Because sci-fi fantasy almost never wins. The last one I can think of was the Dark Knight and that was a posthumous sympathy award to Heath Ledger. If he had lived he wouldn’t have got it. That’s a fact. These people giving awards are pretentious snobs. Anything with mass appeal is like kryptonite to them. Or the fact that her performance was amazing and excellent picture? Not saying it doesn’t deserve it, just saying if Hollywood gives it to a scifi genre film it will not be on its merits. They turn their nose up to everything scifi or fantasy. So many films deserved the best picture award at different times more than Wonder Woman does. But if they do, it’s only a nod to affirming their feminist values, not because it was the best picture, which in all honesty to me it probably was for this year. But they snubbed Star Wars, they snubbed the original Superman with Cristopher Reeves which is still vastly ahead of modern superhero films in terms of character, storytelling and film direction. They snubbed tons of landmark scifi films. This would be a politically motivated move and they would wrap it up in the context of all the revelations of Hollywood’s sexual harassment problem. I’m sick of Hollywood and their hypocritical handwringing at ordinary Americans, they can get fucked. I appreciate the film because I have always loved these films. But I doubt I will see any scifi films win if they don’t have an identity politics angle. Ever. Maybe next year Black Panther wins it. Then never again until they have a superhero film about a transgender Muslim superhero, which Marvel will be glad to give them. They waited until the third film. They had to do that one. If they didn’t people would riot. Oscars? We don’t need no stinkin’ Oscars. If Gal Gadot suddenly dies, they have a shot. I thought that movie was eh.. like a step up from that crappy green lantern one. No. It wasn’t that great. So now SAG has gone all PC. Warner bros would know,the Oscars are rigged. fun film but for what? They’ll be guilted into it if it wasn’t a good movie…. It was okay, nothing special, and actually a bit boring in parts.